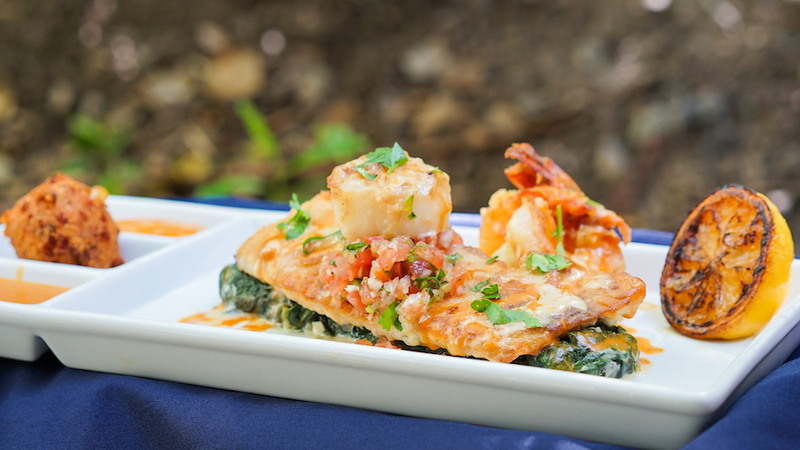 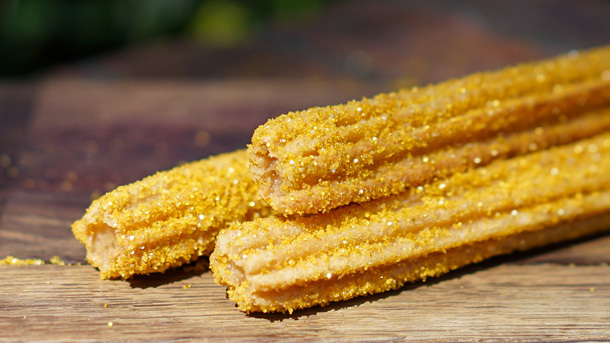 As part of this weekend’s celebration of the 50th anniversary of Pirates of the Caribbean, the chefs at the Disneyland Resort have come up with some fun food items that will be around for a limited time only. 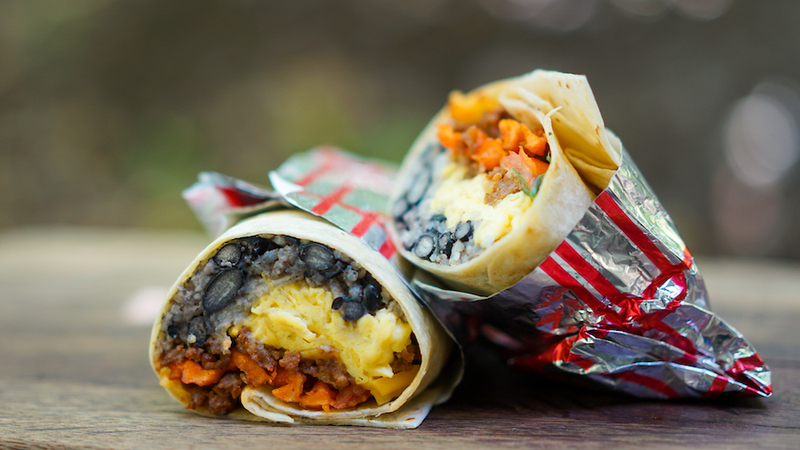 For breakfast, the Mint Julep Bar and Royal Street Verandah will be serving a Caribbean Breakfast Burrito, filled with scrambled eggs, Andouille sausage, rice sweet potatoes, black beans, and cheddar cheese. 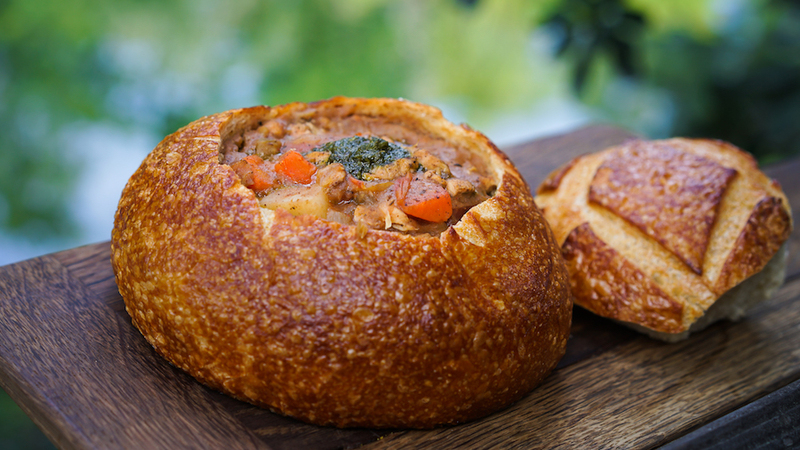 For lunch, try the Calypso Caribbean Chicken Stew, with Caribbean-spiced chicken stewed with carrots, onions, celery, potatoes, and yucca, that will be available at the Royal Street Verandah and Harbour Galley. 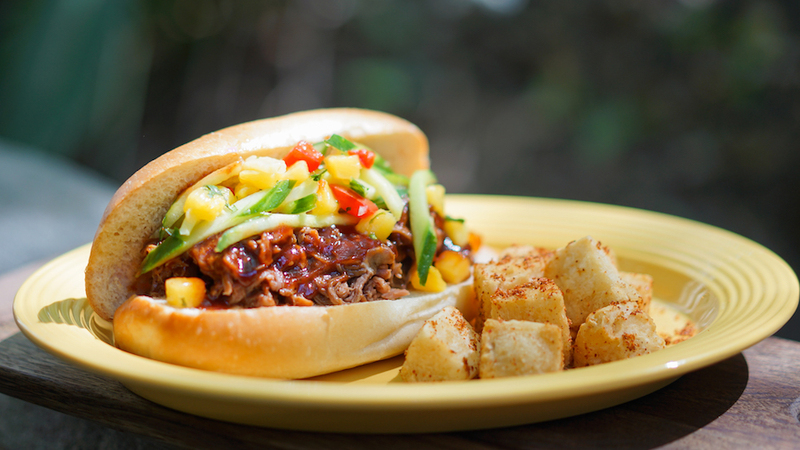 At French Market, guests will find the Buccaneer Pulled Pork Sandwich, featuring jerk-spiced pork topped with sweet and tangy barbecue sauce and pineapple slaw, served with fried yucca. 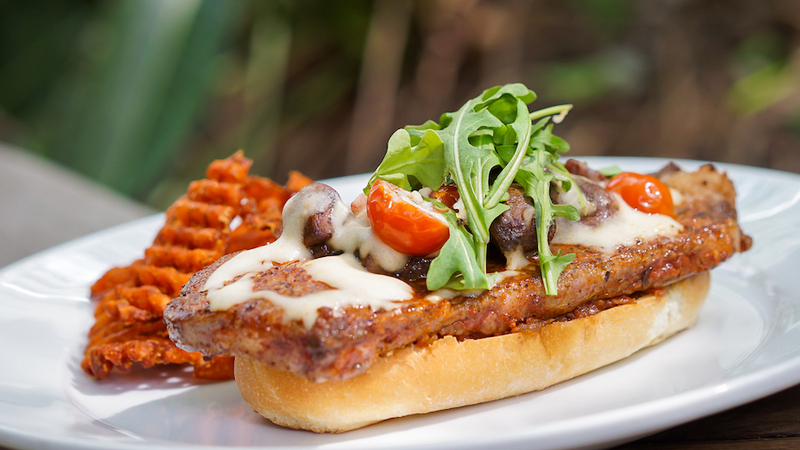 Cafe Orleans will be featuring at Steak Sandwich, topped with white cheddar sauce, bacon jam, arugula, and cherry tomatoes, served with sweet potato waffle fries and the Blue Bayou will have Fruits de Mer, including pan-seared red snapper, sauteed shrimp, scallop and hush puppy, served on a bed of spinach with spicy shrimp sauce and remoulade. 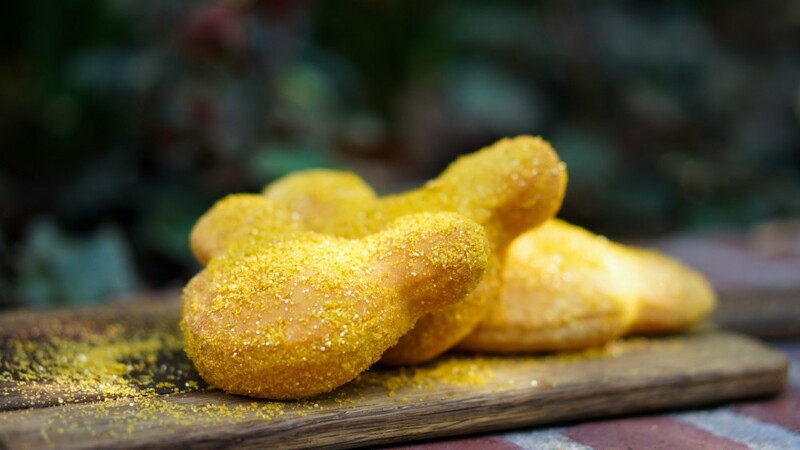 If you want to snack like a pirates, try the lemon-flavored Lost Treasure Beignets at the Mint Julep Bar and Cafe Orleans, or grab a Golden Churro from New Orleans Square churro cart. 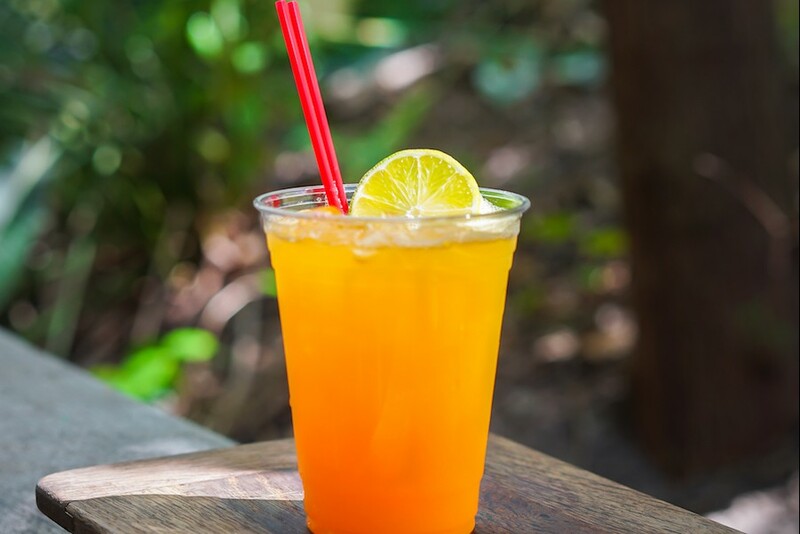 To wash it all down, try the Jolly Roger Punch, featuring pineapple, orange, and mango juices, at French Market, Mint Julep Bar, Harbour Galley, and Royal Street Verandah. A limited edition souvenir stein will be available as well. The Pirates of the Caribbean 50th anniversary celebration weekend begins March 16, 2017.